Ryo Ogawa, better known as Roamcouch is a Japanese born stencil artist who has taken medium to a whole new level of intricacy. His beautifully realistic yet surreal pieces can take up to an entire year to complete, making Roamcouch one of the most dedicated contemporary spray paint artists working today. Recently Ogawa completed his newest addition to a mural series that spans the globe, with its newest companion residing in Hawaii. 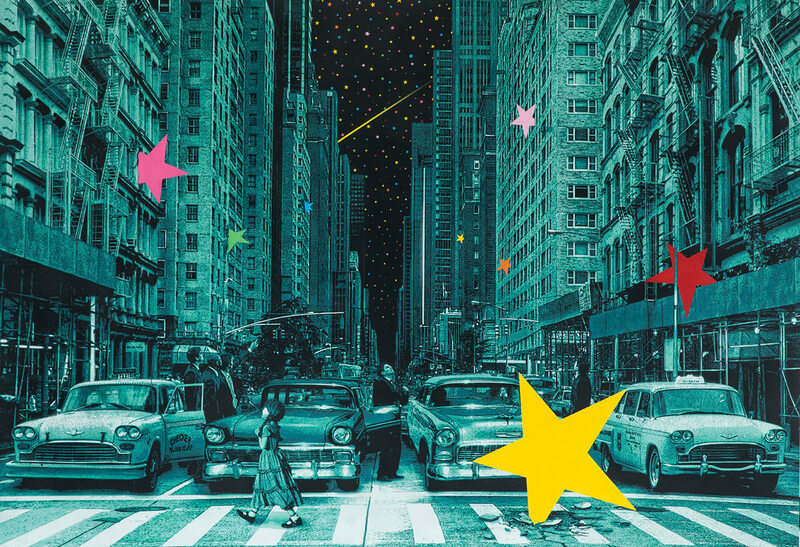 Roamcouch started this series with the piece pictured above, aptly titled When You Wish Upon A Star. 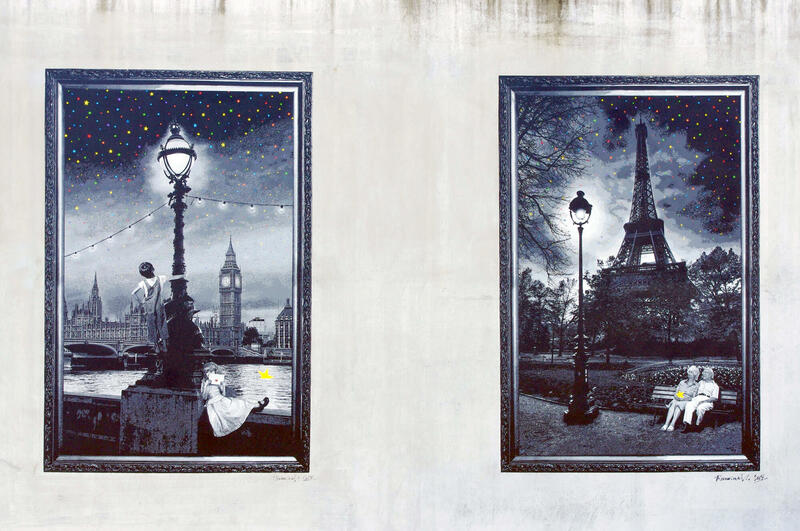 This piece sparked a small series of murals under the same theme painted in Paris, London, and most recently, Waikiki. 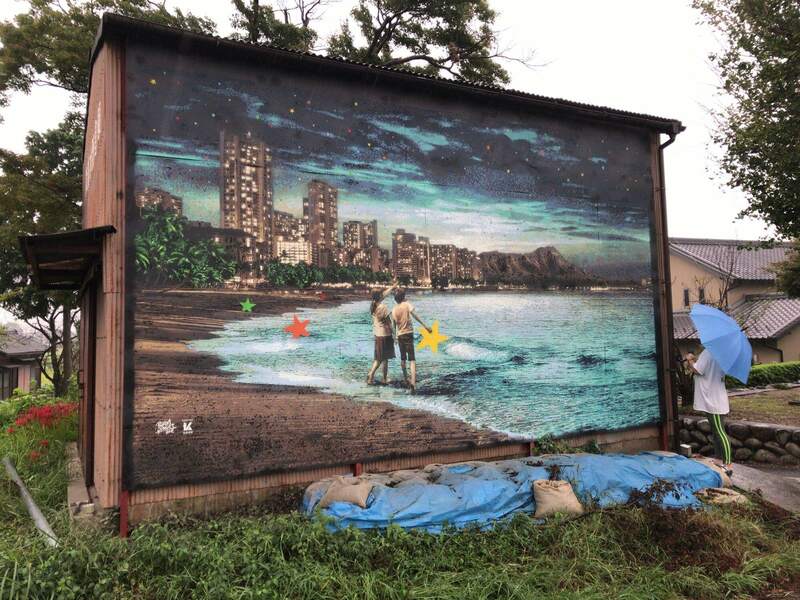 “A new mural was completed… I could not forget the Waikiki that I saw over 20 years ago. And now I was able to embody it. 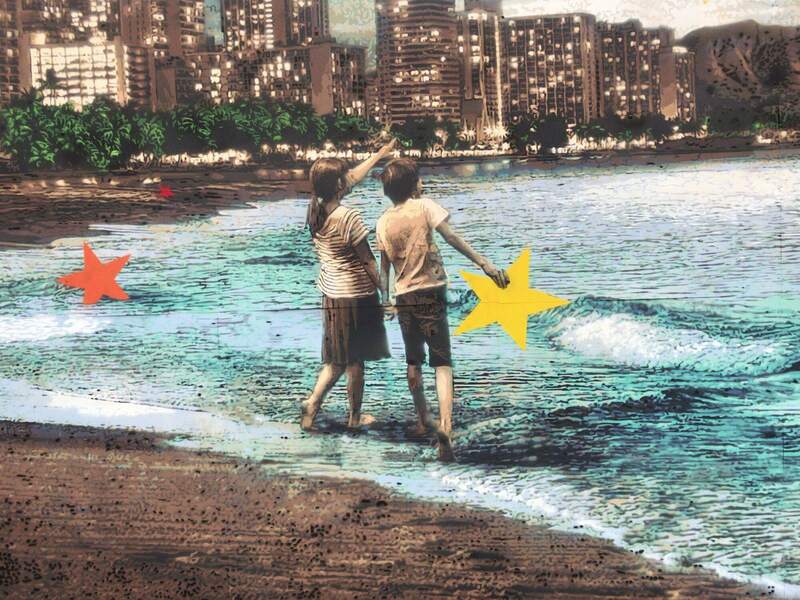 I have never found stars in Waikiki, but you may find it..